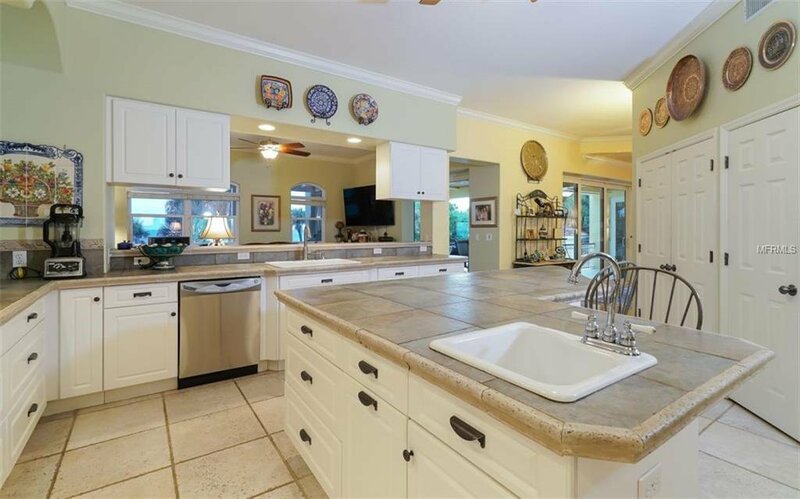 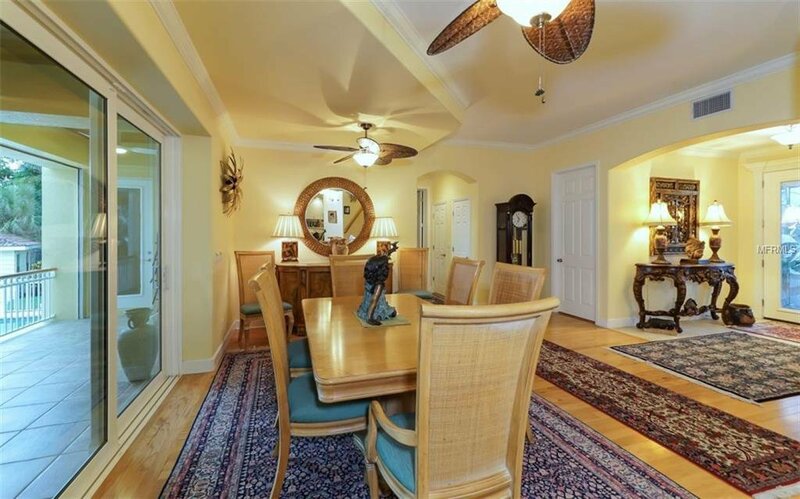 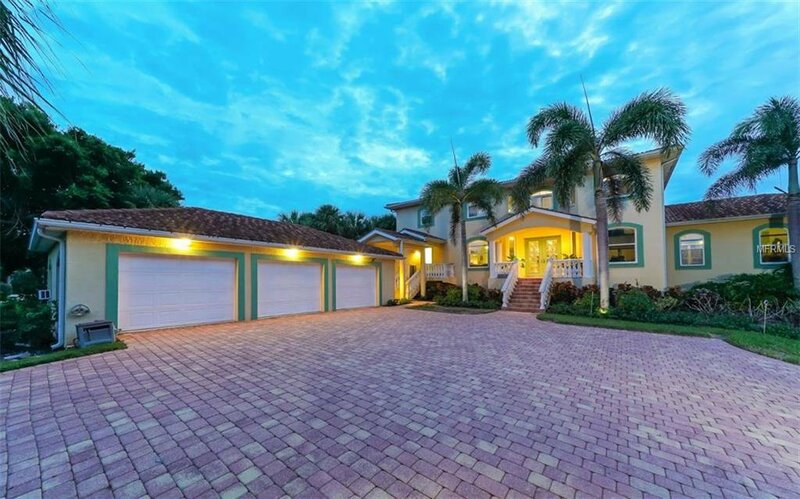 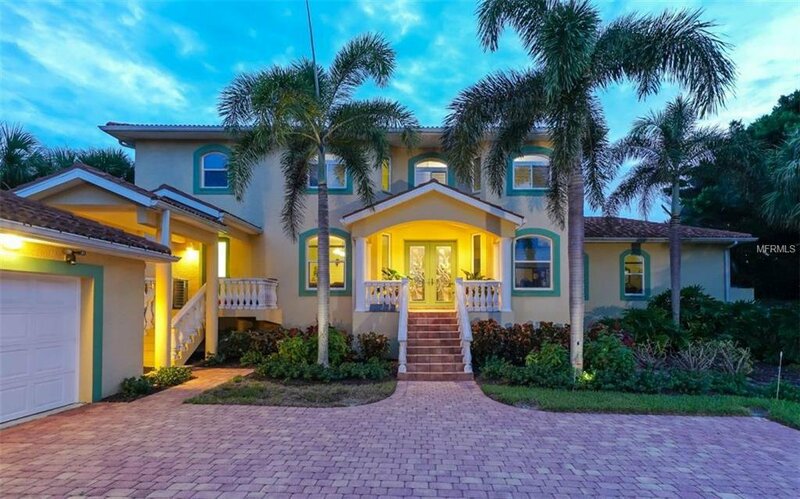 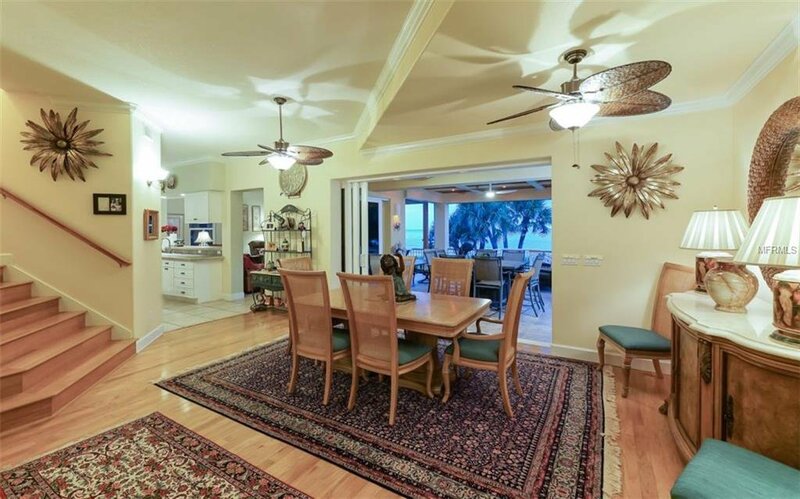 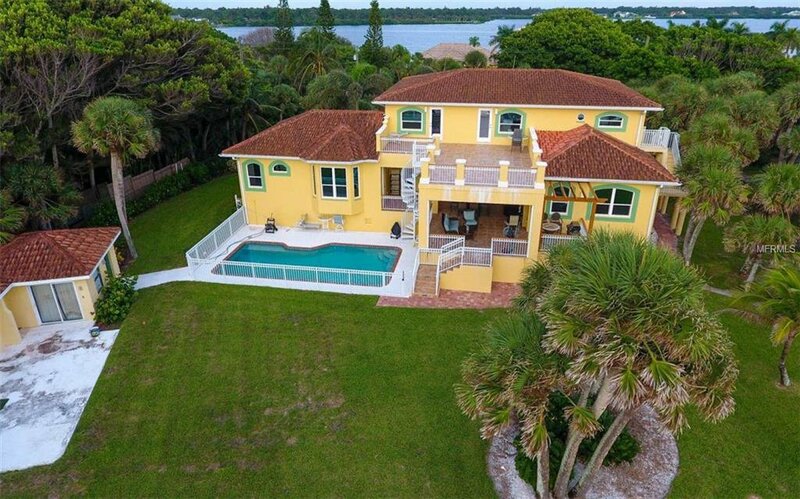 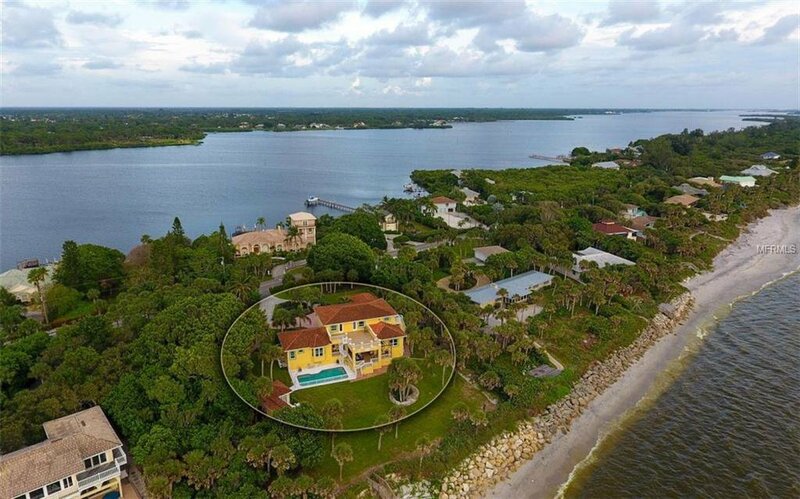 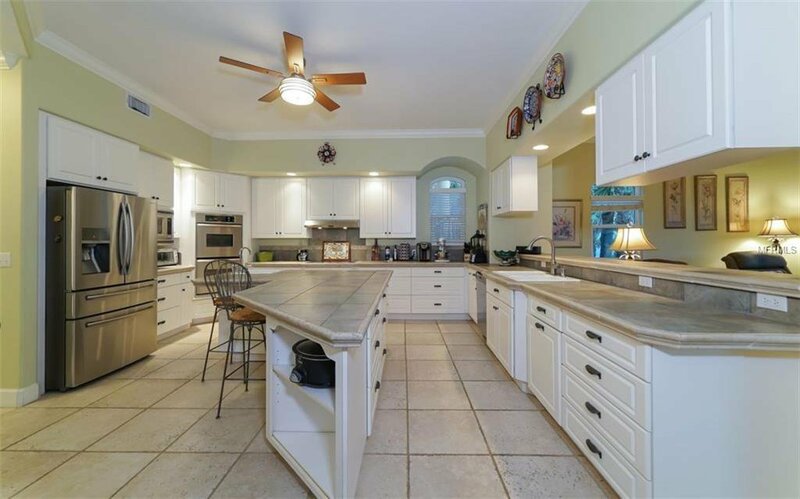 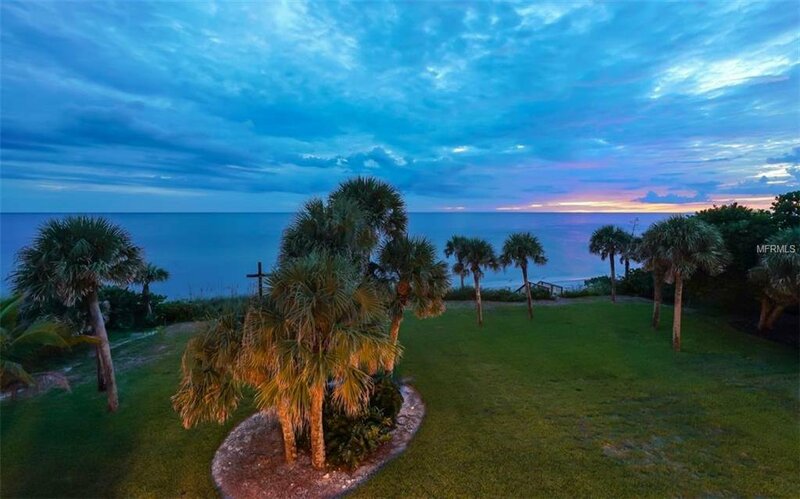 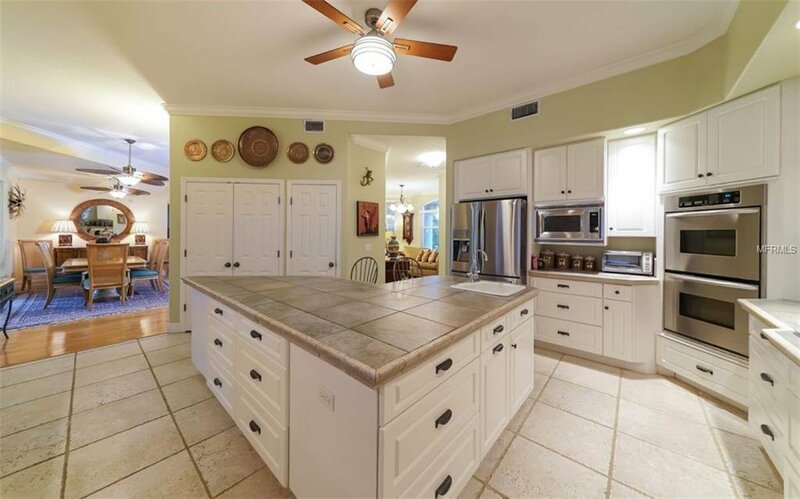 Commanding exceptional frontage of a pristine white-sand beach and panoramic Gulf views, this five-bedroom home on Manasota Key revels in its majestic and private setting on over an acre. 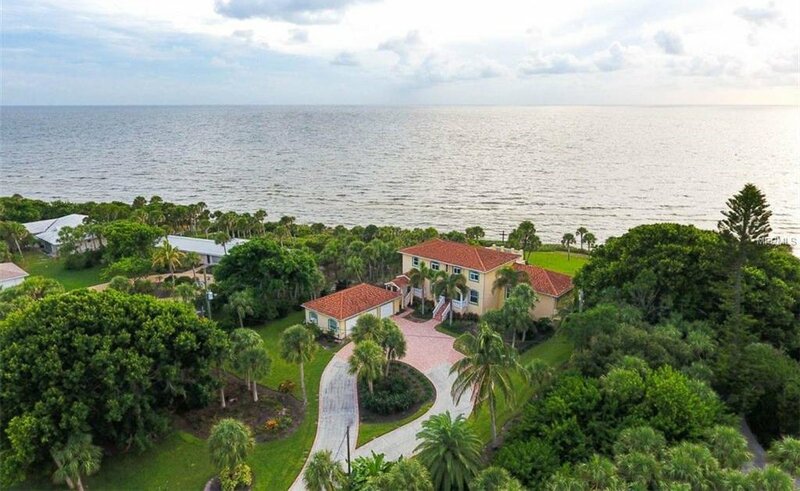 Comprised of a spectacular 3,953 square foot estate with a second-level guest suite and waterfront pool, enjoy the casual beach lifestyle and low-key way of life for which the Key is known. 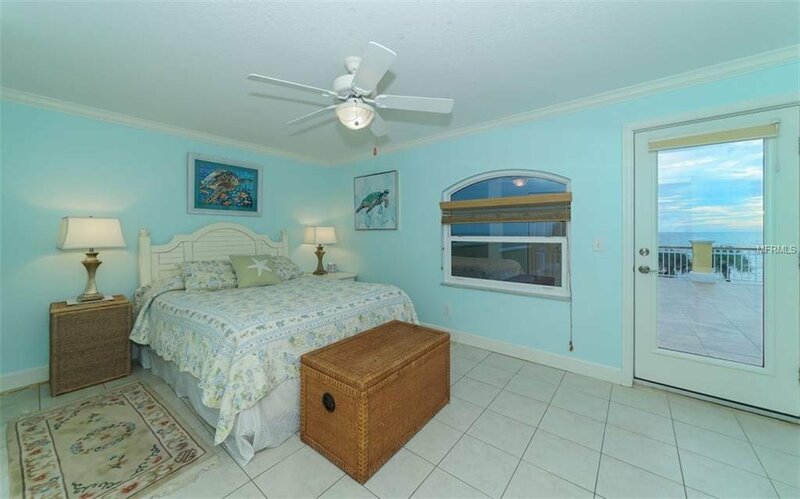 The interiors embrace a beautiful beach aesthetic with gracious rooms that open to the outdoors – extending the living areas and celebrating the Florida setting. 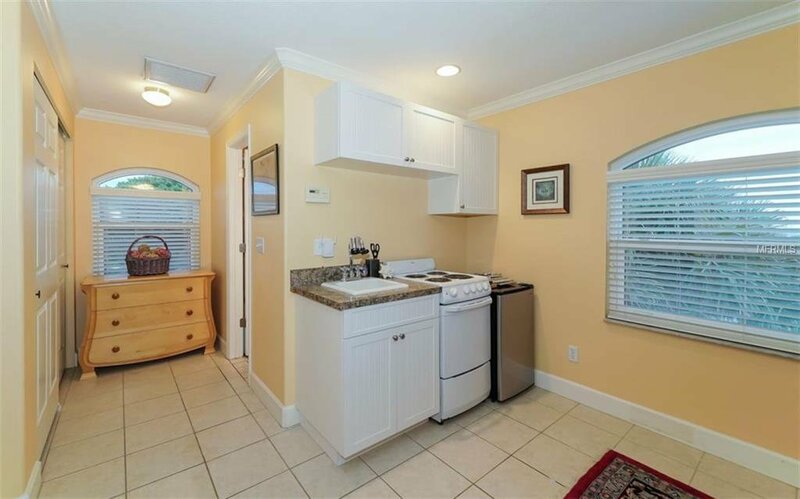 A large kitchen is central to all the action with stainless appliances, two ovens, ample cabinetry and storage, and center island. 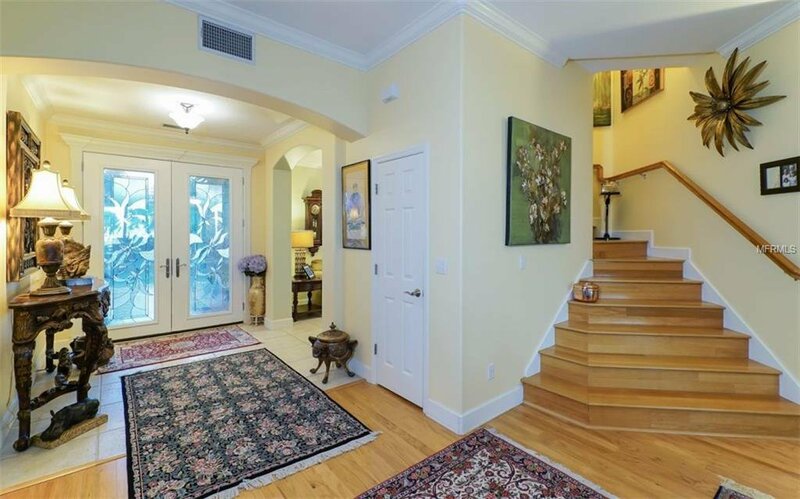 The downstairs master delights in water views and opens to the outdoor terrace. 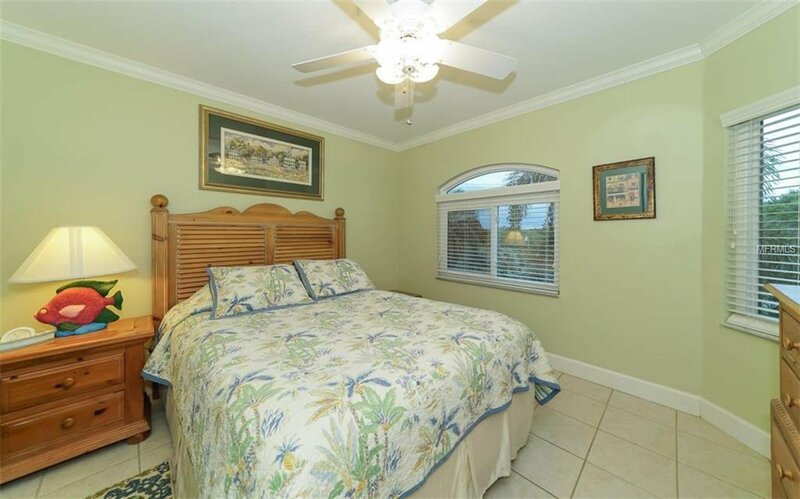 Additional bedrooms are on the second floor for space and privacy. 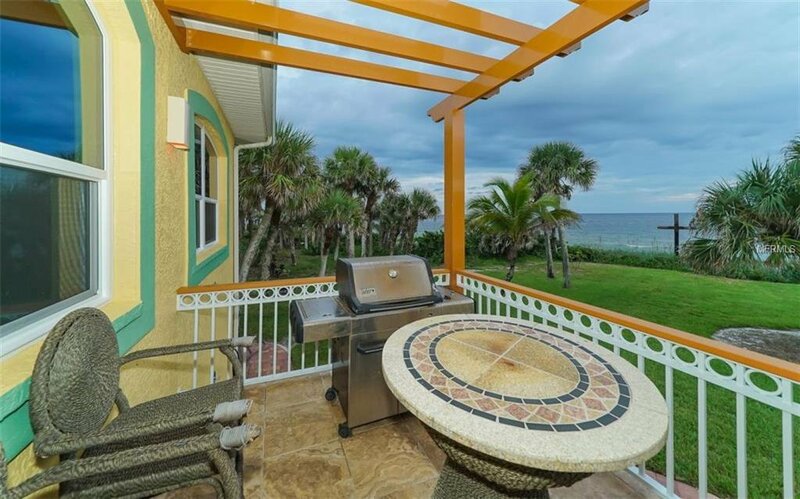 An array of decks provide the perfect place to unwind from the daily grind. 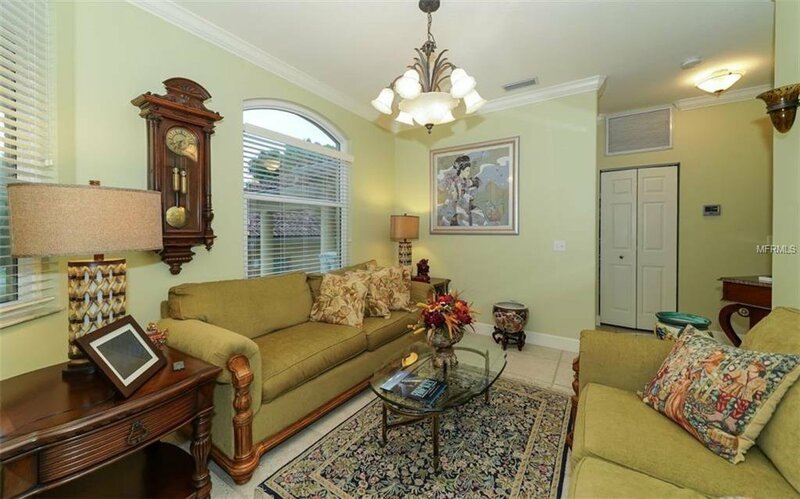 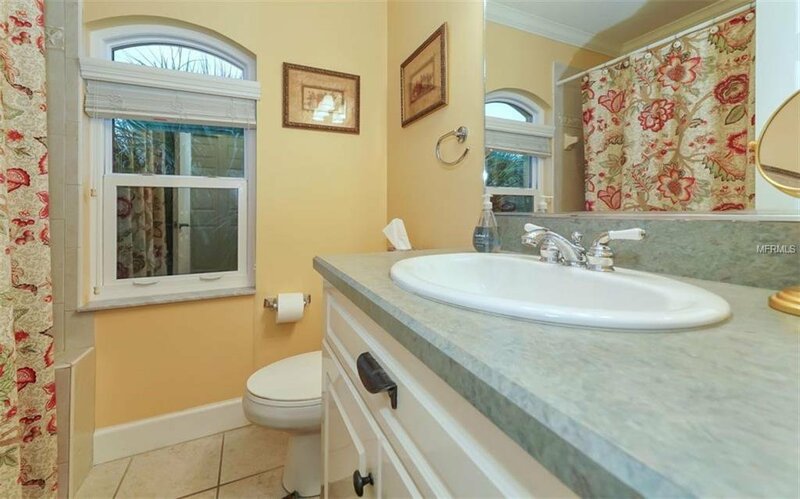 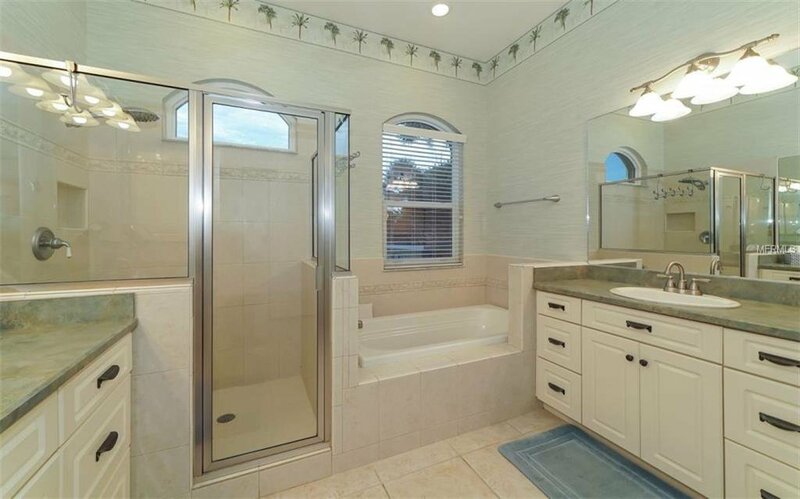 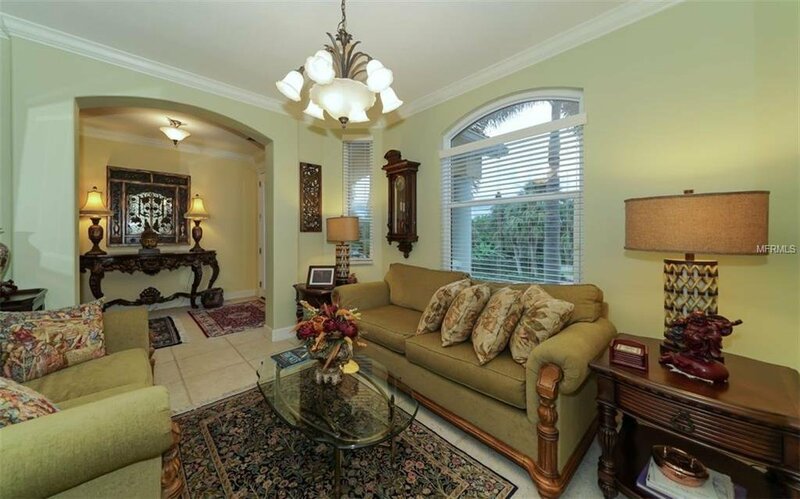 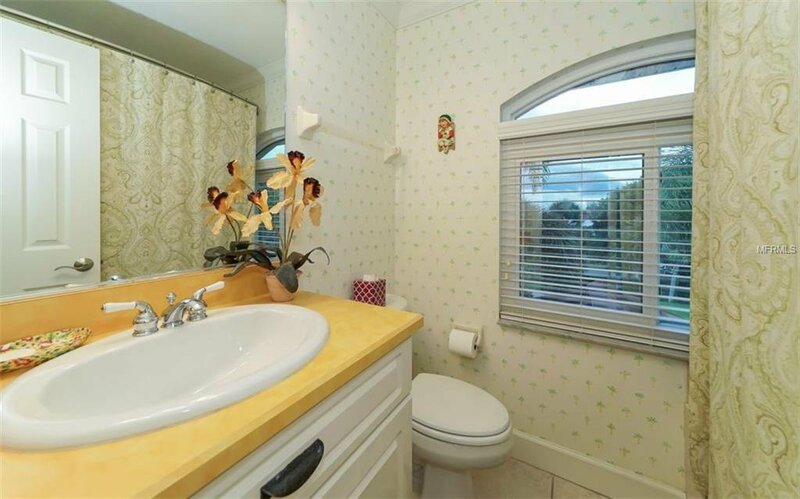 The original owner was a commercial builder who constructed the home to the highest standards. 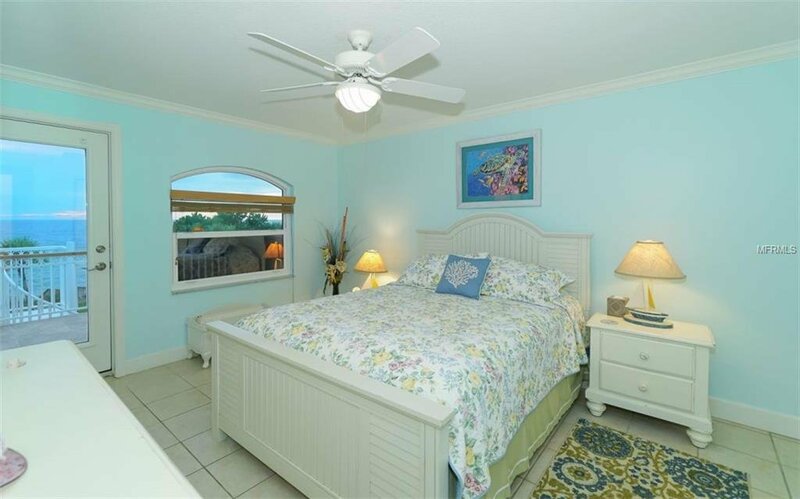 You’ll enjoy peace of mind with high impact windows and doors and remote-control shutters off the living area deck. 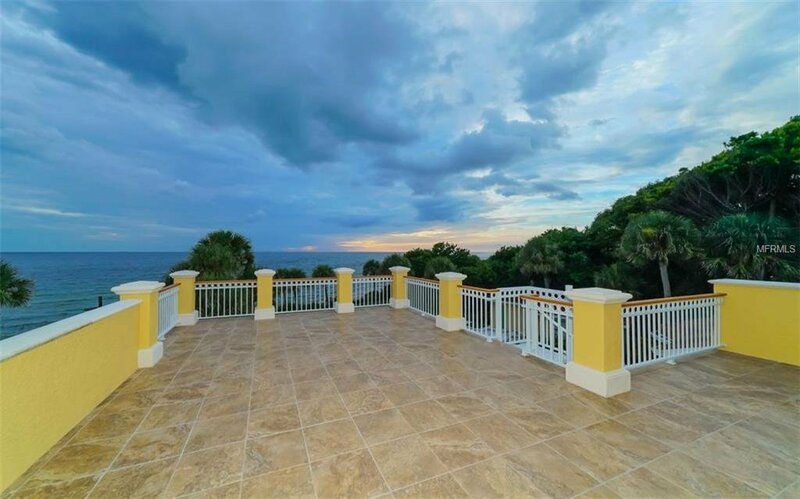 A rooftop deck is ideal for watching sunsets and boats as they sail by. 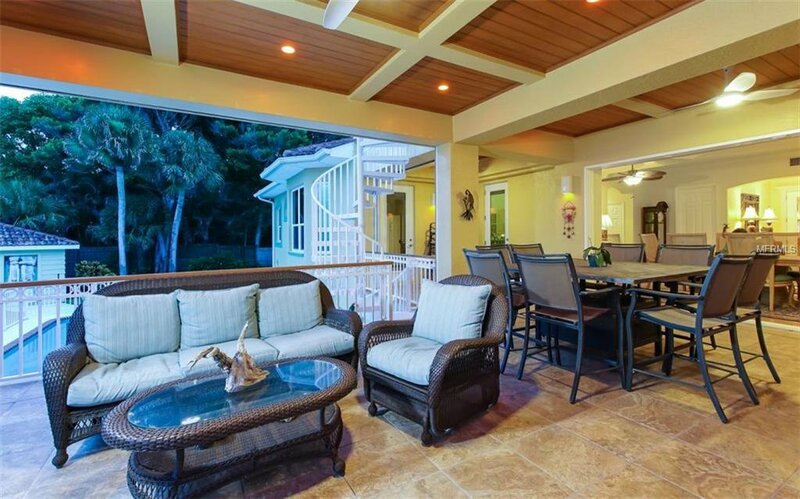 Lounge by the pool or dine al fresco under the covered lanai. 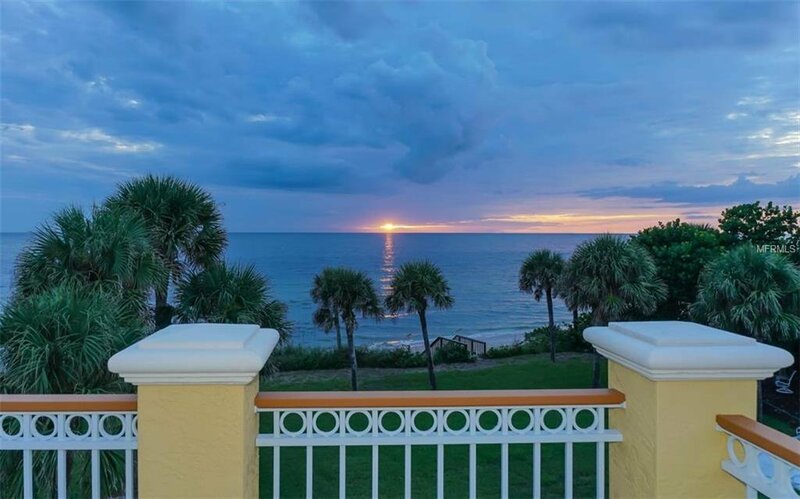 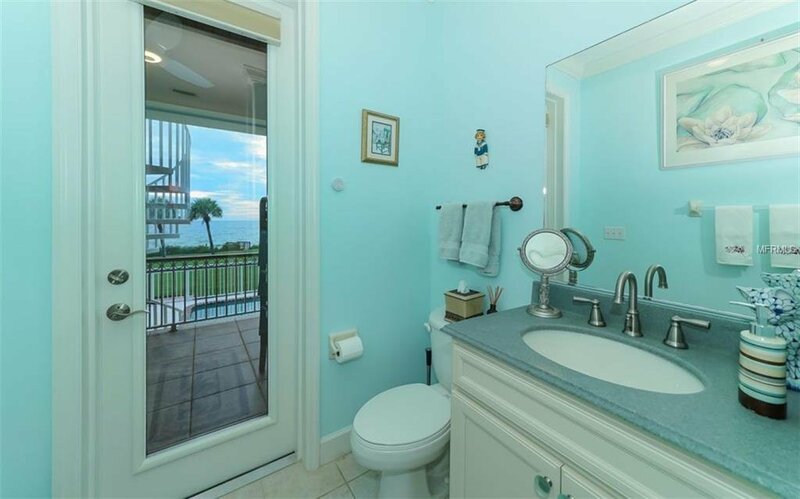 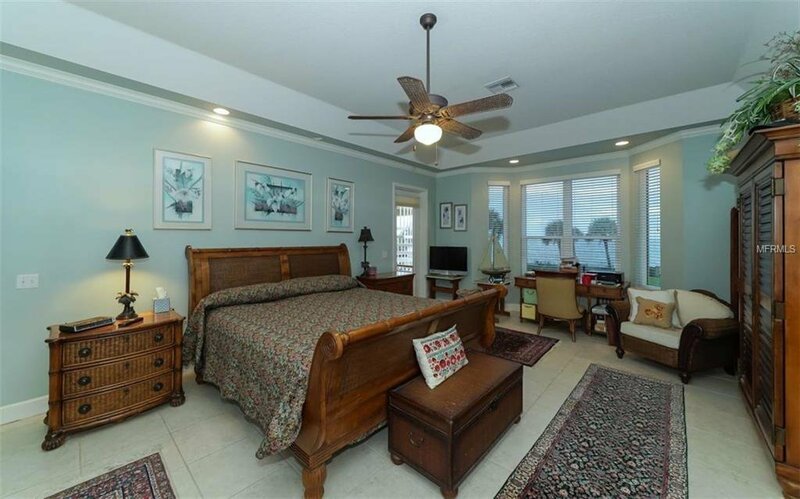 Walk the beach every morning, noon, or night and savor the old-Florida atmosphere with soft Gulf breezes, gently rolling surf, and miles of white sands. 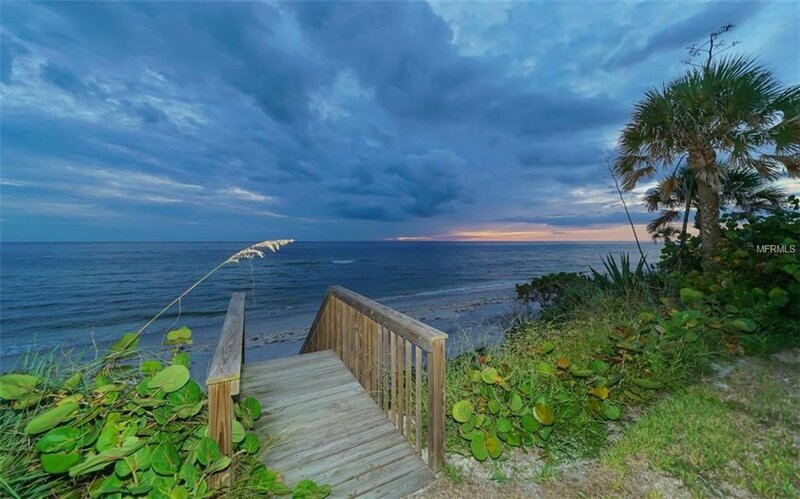 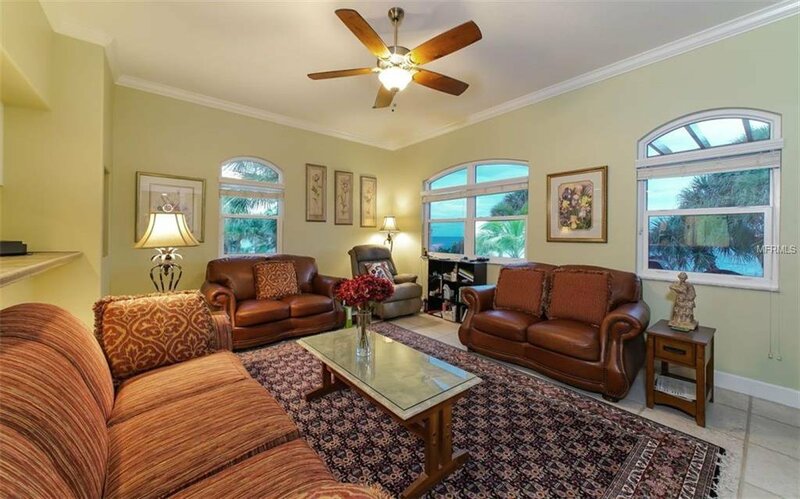 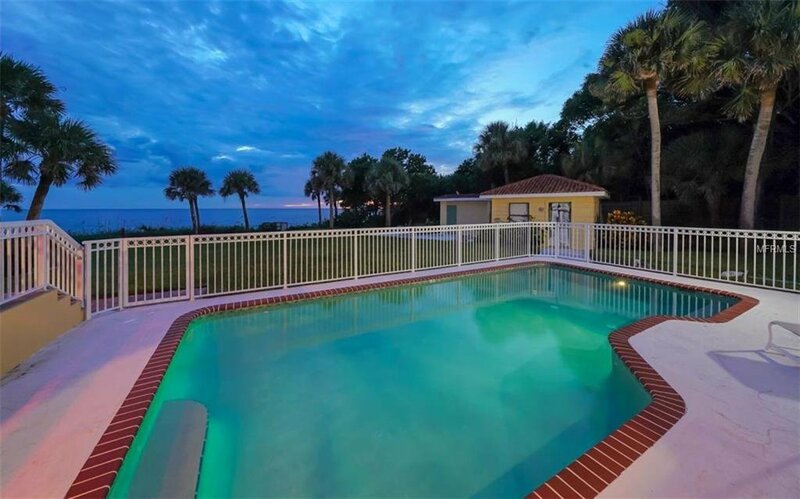 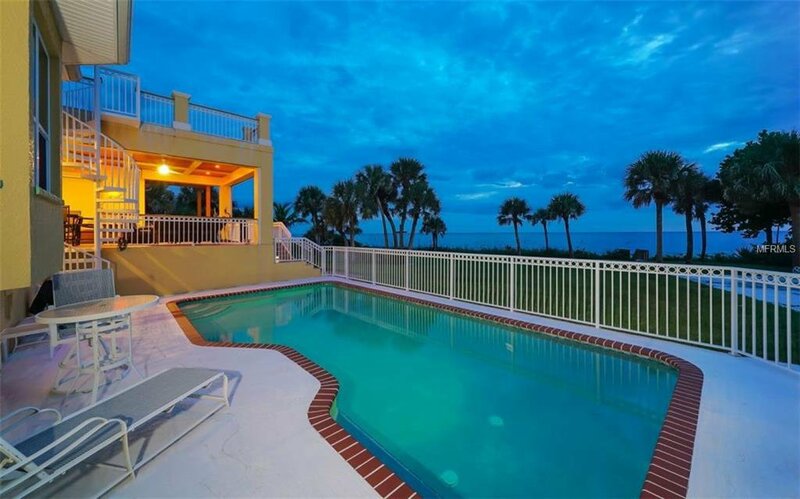 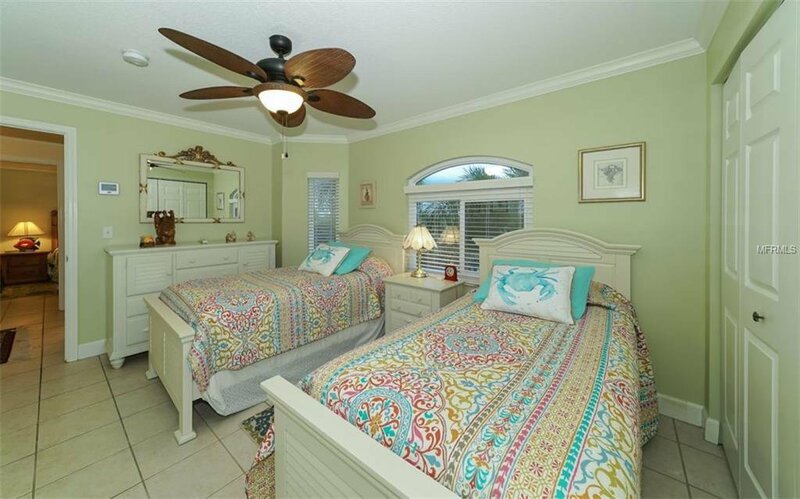 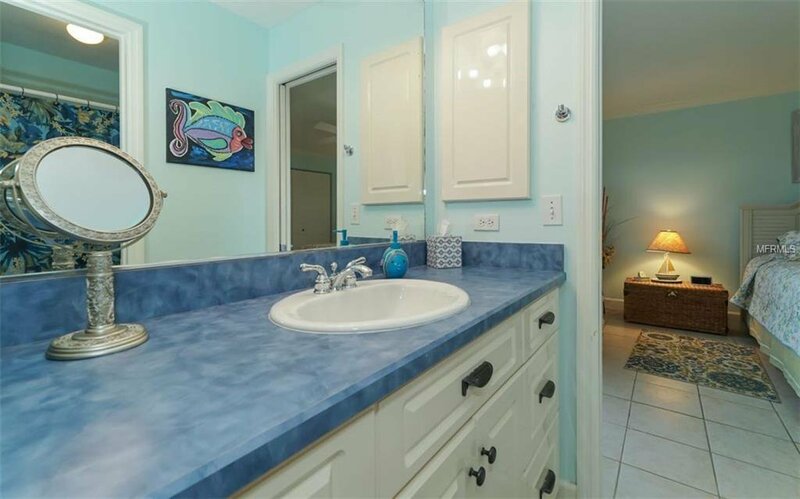 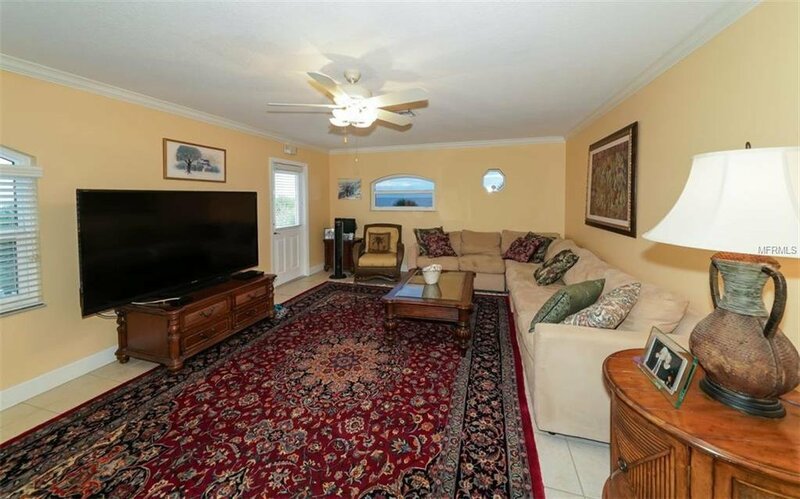 Manasota Key is just a short drive away from Englewood, Venice, and the endless recreation of Florida’s Gulf Coast.